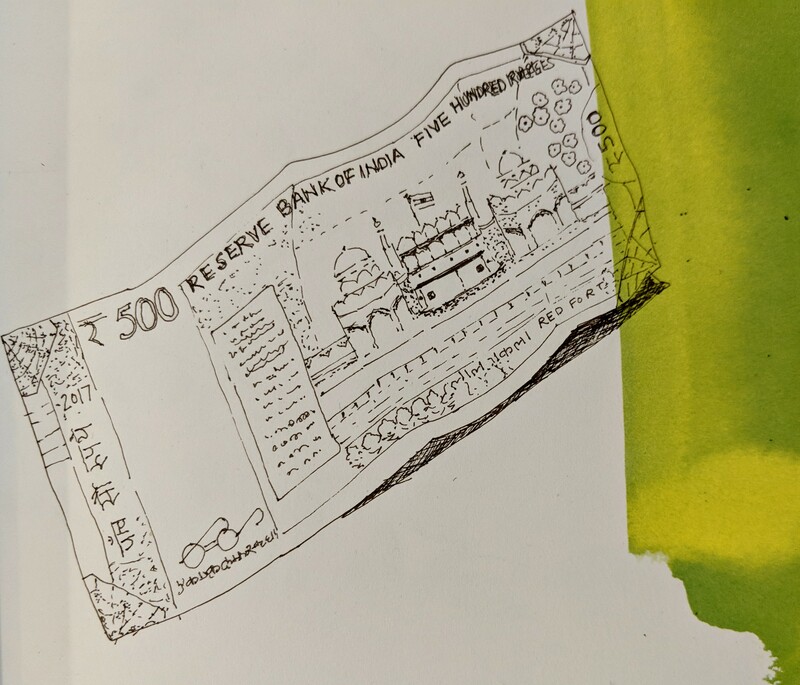 As part of my ‘A Sketch a Day’ I tried to draw the 500 rupee note and saw details in it that I had never observed before! 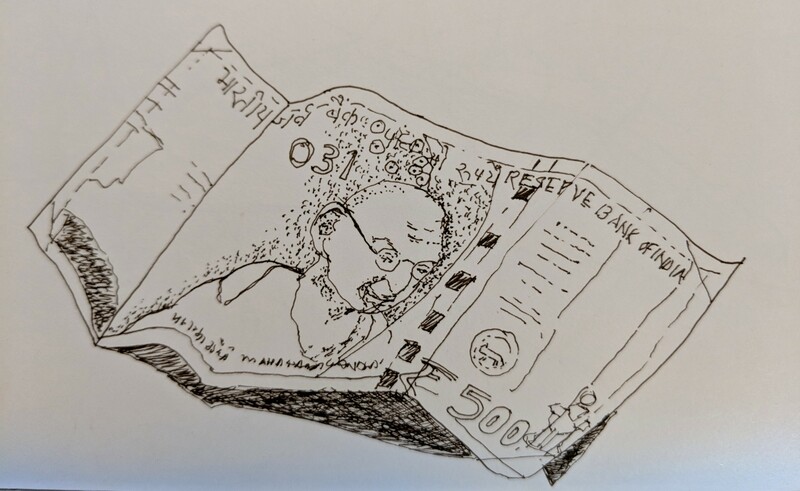 There are flowers on the note 😊… 15 languages have been used to mention that this is Rs.500… Ek kadam swachta ke oar, has been added. So when you have some time on your hands, do observe the beauty in the notes we carry around without much thought…!